Viral publisher Upworthy has changed the internet forever. 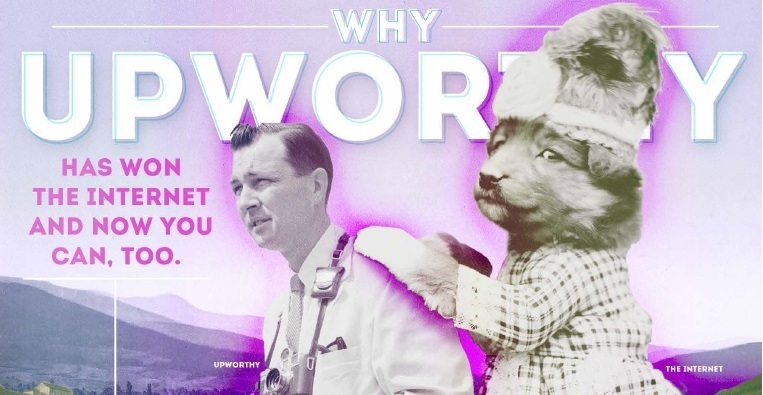 Whether you find their provocative headlines annoying or clever, there’s plenty to be learned from Upworthy’s instant-virality strategy. Upworthy takes often under-exposed news stories, and makes those stories both viral and shareable. How? They find interesting content, improve the way that the content is framed, give it a provocative headline, and promote it on their website and social channels. According to Upworthy, people share your content when it strikes a good balance between emotionally stirring and entertaining. But what draws a person in initially? The headline. And that is really where Upworthy shines. Their headlines always contain an element of mystery without being overly vague. Take a look at our newest infographic to learn all of the tips and tricks of the Upworthy trade. Learn about how you can make your content marketing go super viral, why and where people share content, the keys to viral content, and how to create headlines that draw people in. But remember, even the best headline can’t make up for bad content, and if the headline is misleading, you’ll end up annoying your visitors. You can’t win the internet without high quality, highly sharable content — regardless of how you frame it.